Mr. Boughton works with clients through the Evaluation Phase, performing company and market research to prepare client evaluation and exit planning reports. Prior to Generational Equity, he was a derivatives valuation analyst at a major corporate bank. 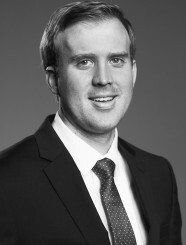 Mr. Boughton graduated with a Bachelor’s Degree in Finance and minor in Mathematics from The University of New Mexico. He received his Master’s Degree in Finance from The University of Texas at Dallas.